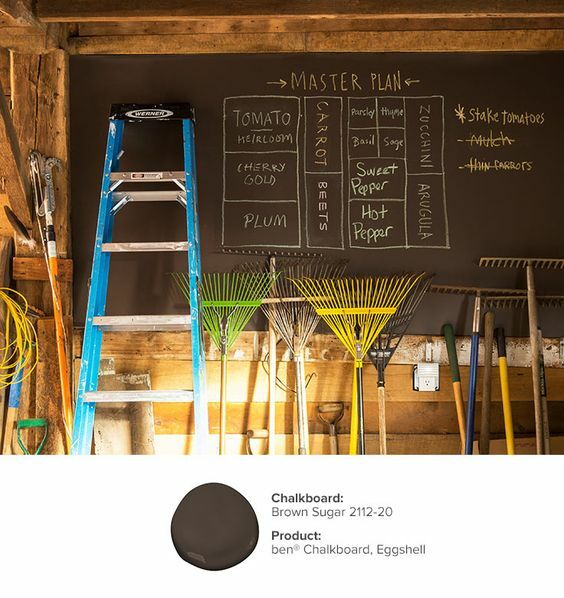 With 1000s of colour choices, ben® Chalkboard paint can add a design edge to any space. From oversized, vibrant wall planners to delicate labels on bottles and jars, chalkboard paint offers endless opportunities to unlock your creative side. 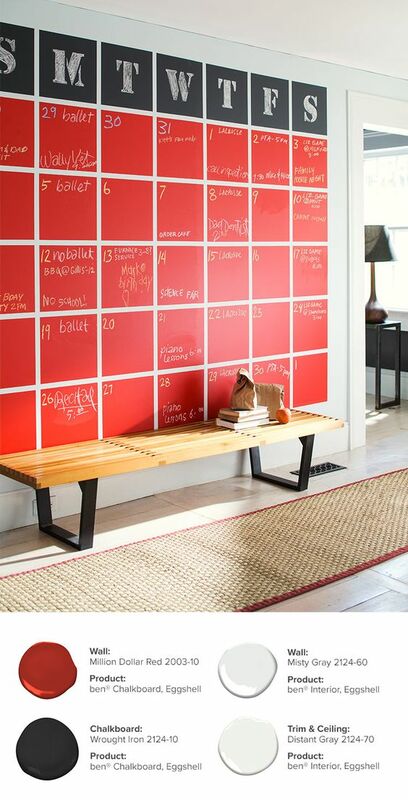 Shopping lists, idea boards and even tracking fantasy football, a chalkboard wall can help you to keep on top of busy schedules all with a heavy dose of fun! 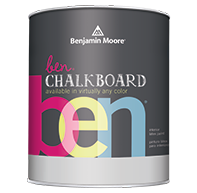 Benjamin Moore's ben® Chalkboard, available in thousands of colours, makes it all possible....... so read on for more inspiration and get creative. 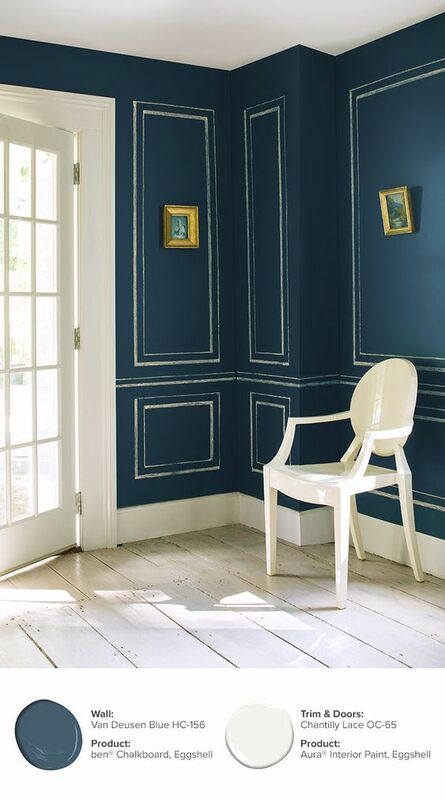 Add sophisticated design elements with a few stencils and your imagination. 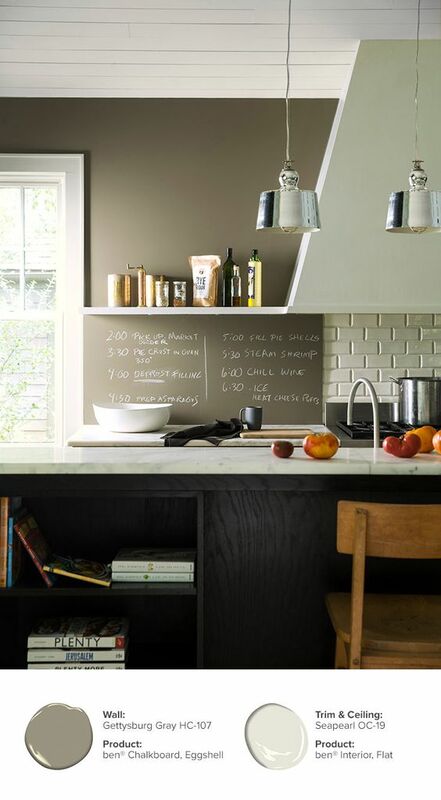 An easy weekend project and a great addition to any kitchen is a chalkboard wall. You can find the right colour to match your style and have the perfect display for the chef's notes. Productivity with a pop of colour! 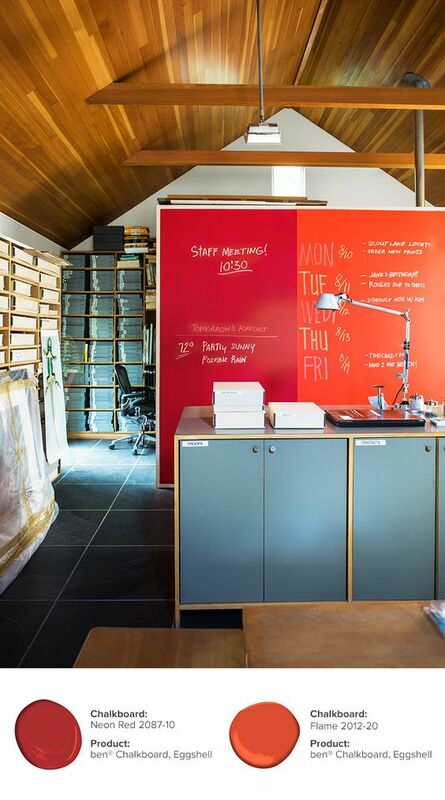 Transform any wall in your office to create an eye-catching message board. Keep track of all your spring gardening plans and even plan out your garden layout by adding a colourful chalkboard to a wall in your garden shed. 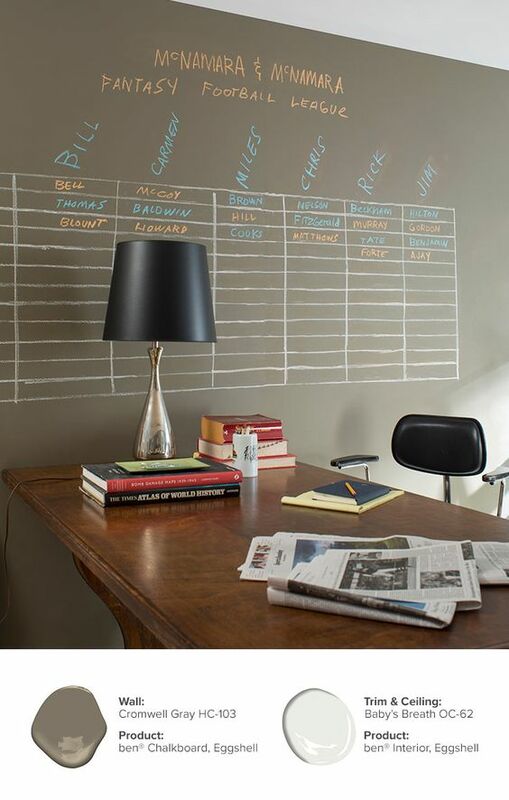 Transform your office and have a bit of fun with your colleagues by keeping track of your fantasy football league. 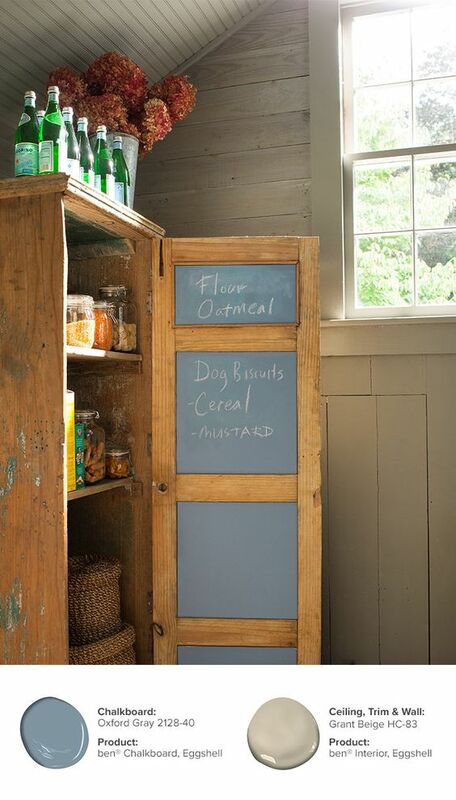 Turn a simple cabinet into a practical pantry, giving you a place to jot down the items you need or recipe ideas. Let your creativity take flight, with ben® Chalkboard paint, available in any of our 3,500 colours, to turn virtually any surface into an erasable chalkboard.